Okay, just because Diana Prince, a.k.a. Wonder Woman, is skilled in various martial arts, armed and unarmed combat, and knows how to fly an invisible jet, doesn't mean she isn't a killer in the kitchen too! Knowing how to prepare a few hearty meals is just part of a good education after all. The Amazons would've been quite remiss to send out warriors who didn't know how to find and prepare their own food. They need to know how to survive. Not just against bad guys, but against hunger too! 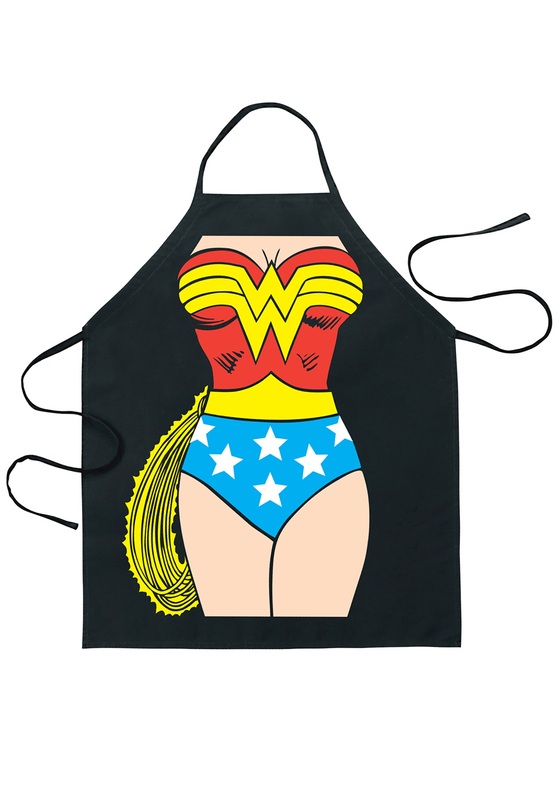 So, if you'r feeling like a legendary Amazon (and fancy yourself quite the cook) then you need our Wonder Woman Character Apron. It's completely cotton and printed with Wonder Woman's uniform on the front. Just tie this bad boy on and you'll look like Princess of the Amazons while you're preparing those steaks! How wonderful is that?